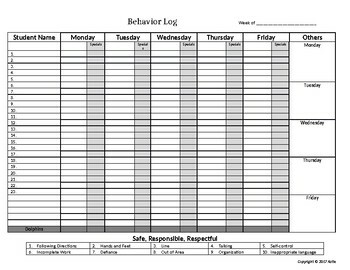 This FREE resource is a behavior tracking sheet that I use for reteaches (an APL behavior management strategy). Feel free to download and change to fit your needs. However, I would always appreciate credit to my store and feedback! Thank you!